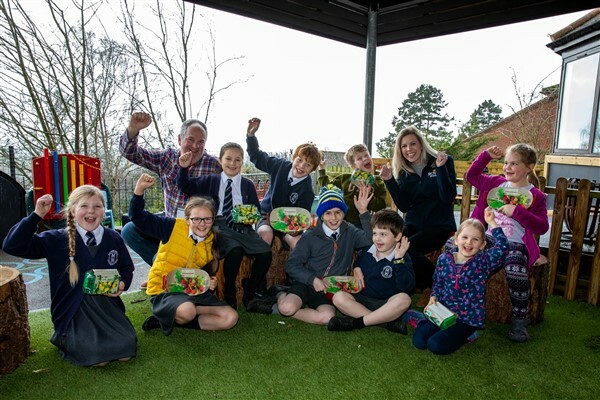 A local housebuilder has stepped in to help a Worcestershire school take on the RHS Malvern Spring Festival’s School Garden Challenge for a second consecutive year. Malvern Wells CE Primary School has received sponsorship from Bovis Homes for its entry into this year’s annual event. It is hoped that their creation, which is titled ‘My First Day at School’, will bring back childhood memories for visitors. “The theme we were given for the festival this year was ‘A Moment in Time,’” says Chris Bayley, a volunteer parent at the school. “We had some brilliant ideas from the pupils and after casting a vote, ‘My First Day at School’ came out top. The four-metre square garden will be divided into two parts, inside and outside the school. The garden will illustrate a classic classroom scene, with some of the space representing the popular forest school, which is an area many of the students particularly remember on their first day. 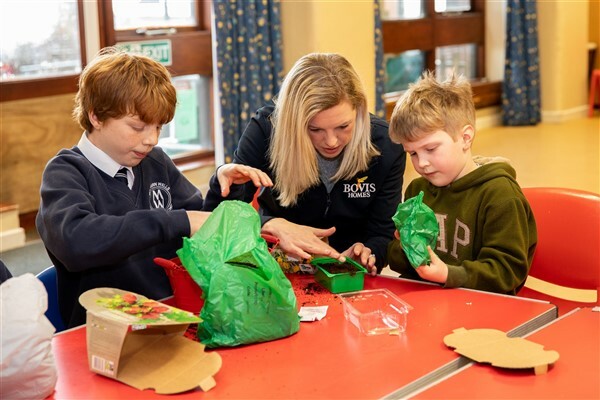 The garden will include a range of school items, including shoes, bags and water bottles, which will adorn the garden with plants growing out of them. In addition to coming up with the ideas for the design, the group of pupils, aged between 6 and 11, have also been involved in seeking sponsorship, planting and growing the shrubs and building items ready to install in the garden when they get to the showground in May. “My favourite part is building the garden when we get to the showground,” says Elizabeth. RHS Malvern Spring Festival is taking place from Thursday 9 May until Sunday 12 May.